At EverLine Coatings we offer a number of strategic interior line painting and planning services to Edmonton businesses. 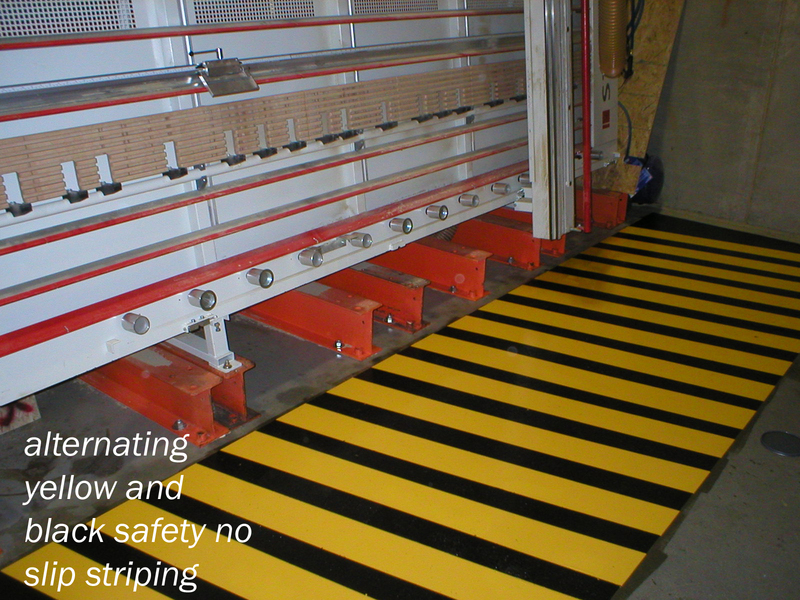 These services include safety and production flow floor markings, plant and warehouse forklift traffic line markings and parking garage and parkade line painting. EverLine Coatings and Services is one of the most experienced line painting companies in the Edmonton area and handle any type of floor marking job you need completed. We have completed projects in various different environments and can create any variety of safety, production, and forklift traffic markings you need done. Depending on your unique business and the job that needs to be completed, we can configure your floor marking project so that you get the right material, work within the time window for application, and deliver a durable end project all within your budget. We employ a number of interior line painting crews at our Edmonton location which enables us to work quickly, efficiently and strategically to ensure a minimal interruption to your day or night time operations. For more information on our interior line painting services or to enquire about the services, please contact our Edmonton location. At EverLine Coatings and Services our commitment to quality and excellence is what enables us to stand out from our competitors. Our CORE quality system allows us to ensure we exceed our clients expectations. Our CORE quality system stands for Clear Scope, Operations Reports, Reach Out and Evaluate. Adhering to this system ensures our clients are always involved in the work we are completing, and that our clients can ensure quality throughout all the steps of our services. At EverLine, we understand that Edmonton is a busy city. It is important to us that your regular business operations aren’t interrupted or negatively effected by our services in any way. This is why we offer flexible work schedules so we can get the job done without impacting your regular business hours. We will arrange to complete your interior line painting project either overnight or on the weekend to ensure a minimal impact to your regular business operations and a top notch quality product. To ensure our interior line painting services last a very long time, we use durable products of the highest quality. Everline Coatings and Services is one of the largest purchasers of paint in Alberta. We buy our paint in bulk to cut costs and extend our savings to our clients. With every project, we make sure to balance affordability and durability. We will always work to implement a valuable solution that works within your budget. There are a lot of strategic factors involved with effective indoor painting and marking within a warehouse or plant environment. Safety, stock location, and forklift line traffic markings are all critical elements to name a few. 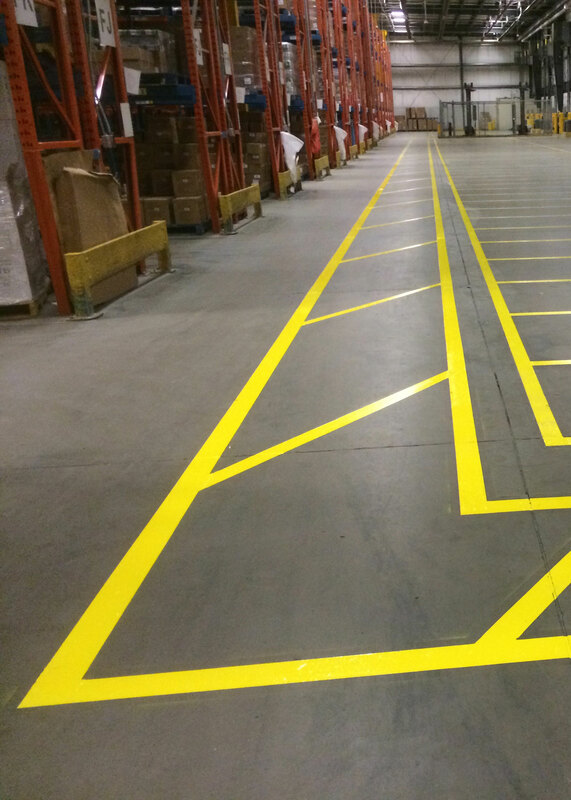 At EverLine Coatings and Services, we have decades of experience in the Edmonton area planning and implementing floor marking solutions. We always work together with the client to plan out an effective marking system that will create the greatest benefit and solution for your business. From paint to epoxy and urethanes, we’ve used a variety of products to suit the needs of different businesses operations and budgets. Our multiple highly trained crews allow for us to deliver a quality end result within your business’ unique time window, for application to ensure little to no service interruptions. Our recommendations are based on tried and proven solutions to ensure satisfaction. If you will be receiving line marking services from Everline Coatings and Services in the near future, there are a few steps we ask you to take in preparation of our services. Firstly, you will need to ensure the floor or surface we will be working with is clean and clear of any debris. If you require assistance with this, please enquire about our power washing and sweeping services. Secondly, you will need to notify the users of the building that our crews are arriving to work to ensure a safe working environment and little to no interruptions to regular service. Finally, you will need to prevent people from walking or driving through the wet paint or markings. This will ruin any work that has been completed up to that point.